It is a good thing that we can enjoy chocolate syrup without the sugar added to it. There are so many uses for chocolate syrup. I know people who like to put it on just about everything. We all know that syrup goes with ice cream sundaes. However, chocolate syrup is pretty good on top of pancakes and waffles. The people eating at my restaurant certainly go through a lot of syrup. We can also make plenty of tasty beverages with chocolate syrup. Chocolate syrup could be about the most famous of these beverages. Chocolate milk shakes is another popular beverage that we add chocolate syrup to. The regular chocolate syrup that some people enjoy has a downside to it. One serving of it can have over 100 calories. 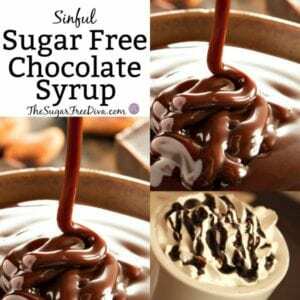 Chocolate syrup also has 19 grams of sugar and a net 24 grams of carbohydrates. 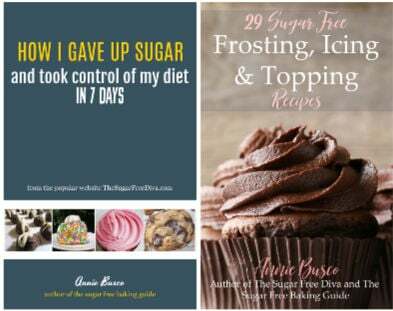 This is why I choose to go sugar free. It is surprisingly easy to make actually. The most important ingredient that you will need is the no sugar added chocolate cocoa powder. You can find the unsweetened cocoa powder on Amazon at a good price. 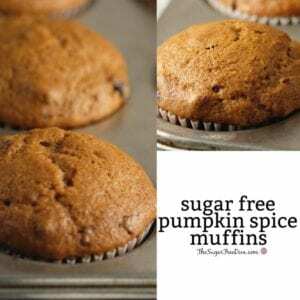 You will also need a sugar alternative for this recipe. The sugar alternative that you use can be your choice. However, the sugar alternative should be in the equivalent amount to sugar. I will give that amount in the recipe. You will also need a liquid in this recipe. If you are intending to keep your calories to a minimum, you can use water. 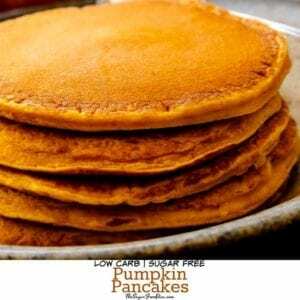 However, milk is another option and would give a fuller texture to the syrup. Lastly, you could compromise by using unsweetened almond milk. The almond milk could give a nice taste to the syrup as well. 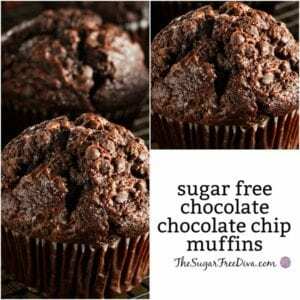 My Sugar Free Cocoa Muffins – perfect to take care of that chocolate craving- I pinky swear! Also, my Stevia Cream Cheese Frosting has been super popular. You should see how many times it has been pinned! Homemade Ice Cream. It’s sugar free and chocolate. YUM!! How you can make this recipe. In a large saucepan on medium heat, whisk together the cocoa powder and liquid. Whisk these continually to break up any chunk. When mixture begins to boil, bump down the heat to medium low-low and allow to sit for 3-4 minutes, stirring as needed. Remove from heat and allow to sit for three minutes. Then stir in your remaining ingredients and serve. Store in a refrigerator for 2-3 weeks. Easy to make and easy to enjoy- how to make your own sugar free chocolate syrup.